The Gerhard R. Andlinger Visiting Fellows program is designed to attract distinguished visitors, who will collaborate with Andlinger Center faculty, researchers, and students, and enrich the research and teaching at the Andlinger Center. Practitioners from industry, government, and not-for-profit sectors will bring different perspectives and urgency to the energy and environmental challenges that are central to the center’s mission. As such, applications from prospective visitors from a variety of backgrounds are encouraged to apply. 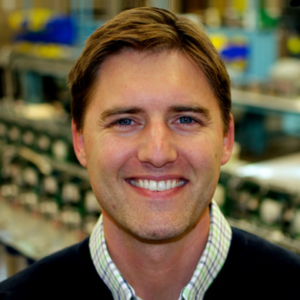 Darren Hammell, Class of 2001, is co-founder and president of Princeton Power Systems, a designer and manufacturer of microgrid and battery solutions. He founded the company as an undergraduate at Princeton’s School of Engineering and Applied Science and the company is now a global leader with thousands of deployments across North America, Europe, Africa, and the Caribbean. Hammell has returned for a fellowship during which he is providing support to start-up companies that have been founded at the Andlinger Center. He led discussions and served as a panelist at the 2018 Annual E-ffiliates Retreat and lectured on his experience commercializing energy technology during the Andlinger Center’s executive education module for Young Global Leaders in July 2018. He also leads the development of a a new course on commercializing energy technologies at the Andlinger Center. Christopher Greig, is a chemical engineer who earned his doctoral degree from the University of Queensland (UQ), and is a fellow of the Australian Academy of Technological Sciences and Engineering. Greig leads both the Energy Initiative and the Dow Centre for Sustainable Engineering Innovation at UQ and was selected as a Gerhard R. Andlinger Visiting Fellow beginning in July 2018 for two years. Greig will use his fellowship at the Andlinger Center to nucleate a multi-disciplinary, multi-institutional, cross-sector collaboration to identify hotspots and bottlenecks that impede deep decarbonization of the global economy. 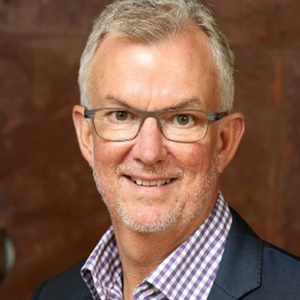 The core of Greig’s role at the center is to develop this major international research collaboration, known as Rapid Switch, which the Andlinger Center and UQ’s Dow Centre will lead. His main interests lie in energy transitions, economics and policy, energy for development, mega-project implementation, and carbon capture and sequestration. 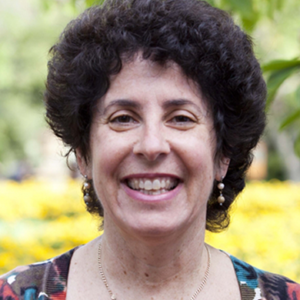 Judith Greenwald, Class of 1982, is a former U.S. Department of Energy (DOE) executive with more than 30 years of policy experience working in government and the nonprofit sector. She is a graduate of the School of Engineering and Applied Science and returned as a fellow in spring 2018. During her time at the center, she collaborated on research, lectured, advised students, brought in speakers, and convened industry, government, and NGO leaders. She liaised with the undergraduate student group, Princeton University Energy Association, to facilitate the group’s inaugural conference to examine New Jersey’s power markets and policy reforms in April 2018. Greenwald guest lectured at the Keller Center for Innovation in Engineering Education and at Conversations on the Environment and Responsible Energy and Life. She organized “Accelerating Climate Action in the United States: What Are We Doing and What More Can be Done,” a September 2018 public conference, featuring keynote speaker Tammy Snyder Murphy, First Lady of New Jersey. In her lectures, Greenwald emphasized that the causes of and solutions to climate change rest at the intersection of public policy, technology, market forces, and human behavior.